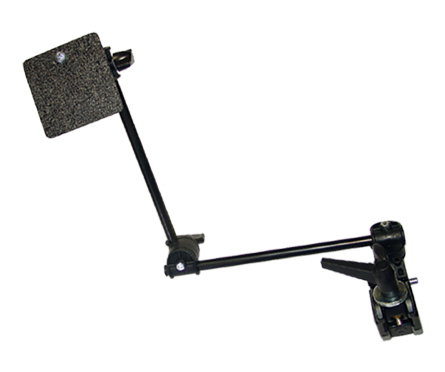 The ASL 602 Adjustable Switch Mounting Arm is an adjustable switch mount which uses a clamping system that mounts to a table wheelchair or bed. It has three hinged adjustment points that can be adjusted to help the switch be at a better location. It comes with a Kidex platform to mount a switch with Velcro or screw holes.